A SPONTANEOUS protest formed outside an animal shelter this weekend after horrific scenes of cruelty were broadcast by activists in Spain. A petition has also been set up to demand action against those responsible for leaving hundreds of dogs in pitiful conditions at the shelter near Sevilla. During a short You Tube video some animals are seen close to death next to the dead bodies of other dogs. The pens, each containing dozens of dogs, have clearly not been cleaned for days, if not weeks. Dozens of angry protesters gathered outside the Protectora de Animales in Mairena del Aljarafe this morning. This is absolutely disgusting and barbaric. How can any human keep animals this way. The people responsible for this should be jailed! holidays in Spain …. Shame on you!!!! It is still happening in spain in other kill stations,the activists need need to continue and show them all they are all hellholes,the eu knows from our many letters to them and what happens NOTHING AND rOMANIA THERE IS MURDER and horrific crimes against innocent street dogs,this world has turned fowl because people turn the other way IT IS ALL HAPPENING DAILY WHO IS GOING TO DO SOMETHING AND GO AND STOP IT ALL!! !WHAT IS THE POINT OF HAVING A EU if you cant stop the murdering cruelty that is happening RIGHT NOW!!!!! Absolutely agree, I am trying to find someone who can collect an abandoned dog in a service station near Granada when I was on my way to the airport. Previously I went to a town near to Jerez de la frontera called Arcos on easter sunday and they were preparing to run a bull down the streets. The bull was in a small metal ship container on the back of a lorry in total darkness, the poor animal was so distressed making a hell of a noise and banging on the walls of the container. The crowds were gathered in their hundreds at tt his so called specticle but we left in absolute disgust. I know not all Spaniards are cruel to animals, but it clearly seems most are. Spain should notn be allowed to continue being a member of the EU! Nor should a few other EU members, such as Bulgaria and Romania. I won’t holiday in neither of those said countries, nor will I buy any of their products. These poor animals did not ask to be born into their hellish life they are having to wrongly endure. The poor mites would be better off dead! 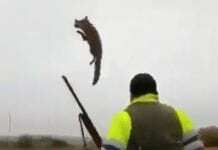 All this cruelty to defenceless animals will send Karma to the human race. Many humans even do evil things to their fellow humans. How evily sick! Spain not in the EU because of their ill treatment of dogs. i just read an article about 50 perreras in spain out of the 50 i passed as a good one i dont no if this is the one you refer to but the rest of them are hellholes for these innocent souls who are abused,kicked,often have health problems and are not attended to ,the people who run these manmade hell holes are in for the money they spend public funds on whatever they want not on the dogs,there cruel and unhumane to them,these people need locking up they are fowl,the romania ns are in the eu but i have photos on my fb page of there brutal murdering on a daily basis i cannot understand how the world can let these horrors go on,what right has man to inflict such brutality on defenceless animals,these are not real men these are unhuman scumbags who deserve to be caged not the dogs!yes uk has problems so the rest of the world does to but the quantity of galgos and podencos that are maimed and murdered set alight thrown down wells hung and just tortured to death by the hunters in spain is on a massive scale were talking 50,000 plus that die at the hands of these horrid men,that have the cheek to attend there churches on sundays after they have carried out there fowl sins,the romanian prime minister must clearly be a madman to sanction and let these dog catchers drag and brutally murder innocent street dogs,goug there eyes out slit them from here to kingdom come and the public shelters are a mass of blood and dog parts what is anyone going to do about it !!!!!!!!! !uk is not in the same league!!!!! Why are people defending Spain and this atrocity? Yes, of course similar, dreadful, things occur all over the world…but this IS happening in Spain, a supposedly ‘developed’ country in the EU. Wake up! There are 100’s of people (Spanish, English, Dutch and others) working day after day in Andalucia trying to save as many animals as they can from needlessly being out to sleep and the horrors of the municipal dog pounds. Nothing will change in Spain without considerable publicity to force social and legislative change. I lived in Spain for 10 years. The things I witnessed I still have trouble actually believing….please believe me when I say it is the most dreadfully shocking place to be if you have any feelings towards animals. Two days before I left, I found a tiny puppy at the bottom of the communal dustbin…for me it was THE final straw. Something has to change, it is 2014 and this is type of appalling, institutional, negligence can no longer be tolerated. My neighbour adopted a small dog from this hellhole at the end of year- I had seen the little dogs photo on the internet (www.fortheloveofdogsandcats.org) who are working to get dogs adopted from this perrera. I was horrified at the state of the poor dog, she was skin and bone, I took her for a short walk and when we got back to the perrera gates to get into the car she went crazy, she was terrified. We stopped on the way home to buy puppy food as she was so small, she ate like a mad thing. 3 weeks on, she is happy, getting a fat tummy (hope she is not pregnant,she was in season when we collected her) and her fur is shiney and her eyes now sparkle with the joy of living and playing. PLEASE go and look at For the Love of Dogs and Cats site- they need help! You can not accuse all the Spaniards of mistreating animals, as you can see in the photo, there were many people at the door ready to go, and many people ran out of sleep that night .. god do not generalize. kennel that had partners who paid a sum of money to keep the animals well and no one knew what was happening. You can not accuse spain mistreating animals, as we do not say that all Americans are gun crazy … not all English drunken being flushed down the balcony in Majorca .. there are good people who are helping these animals .. URGENTLY needed Foster homes for the animals of the shelter. This is obviously a very complicated situation, but one which must not be allowed to continue. It is true that there are many animal lovers in Spain, both expats and Spanish people. However, for some reason, the conditions in this perrera have been allowed to deteriorate to the point where the dogs are surviving in squalid conditions. It is very upsetting to see this video. Hopefully, the authorities will allow local charities to intervene and will support them to do this. We do not need a riot, or for the dogs to be let free. We need the perrera to clean up its act and become a place where dogs can live safely and comfortably while people make the effort to rehome them wherever possible. I feel the reply from sevillana is very telling. 1). America DOES have a problem with guns (8,855 deaths in 2012). 2). English people DO go to Majorca and act in a despicable way (In 2013 the authorities had to introduce a 24 hour ban on drinking in the street directly because of English people getting drunk and causing, sometimes fatal, accidents). 3). 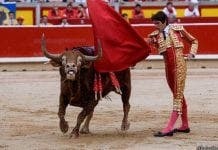 Spain HAS an appalling attitude/legal process to animal welfare. Please ask the hundreds of people (Spanish people and many other nationalities)who work tirelessly in Andalucia trying to make things just a tiny bit better! These are hard facts…I wish they weren’t. I beg you please use this dreadful event to try and force change within the Junta de Andalucia and society as a whole for all the animals. If nothing changes, then this will happen again and again and again. Good luck to all these wonderful and caring people who are battling to save these dogs….from all of the communities living in Spain. But the battle is raging in many parts of Spain to save dogs, and cats, from terrible conditions and inhumane deaths. Let us hope that the authorities and politicians are now forced,shamed or whatever into looking into their policies and practices concerning animal welfare. France has just recognised in law that creatures are sentient beings and must have the respect and care afforded to humans…..still some way to go but a wonderful step forward….Spain take note. At this site, there are kennels, there are staff, there is a vet……MAKE IT WORK! where is a link tho sign for closure?? I live in Spain, I have also visited our local pound and I must say I was very impressed but this is a very unusual situation as this pound is also next to a Residential kennels owned by the same people so they have to keep the dogs in good conditions. But I have seen pictures of many of the pounds here in Spain and it is disgraceful and barbaric the conditions these poor animals live it. Wake up everyone this is 2014 we are supposed to live in a civilised world, but not here in Spain it seems, dogs are kept in terrible conditions, hung, thrown down wells, starved, beaten, kept in rooms where there is no light food or water, yes this is Spain the place we chose to live and spend our holidays. The local Town Halls are just in this to make money, they do not care what conditions the dogs live in or if they are beaten or starved. Well we need to wake up and stop what is going on. The Spanish people who are helping are showing their own government that they wont stand back and let this happen. Why is there a body called Seprona set up to help animals if they do nothing about it. This has got to stop. Why is Spain in the EU and why are the rest of the world just walking by and letting this happen. I live here I have 5 rescue dogs, I do my bit and so do many others and so should many more. We Brits are supposed to be animal lovers, yes there are many but not enough. This is just HORRIFIC! Good luck with trying to rescue the dogs. 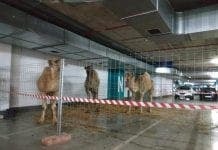 The local authorities and the owner should be throughly ASHAMED!! I adopted my Sláinte from here 7 years ago and it was clean with all the animals being in good condition. I’m appalled at the deterioration since, has this to do with the crisis? What funding has been cut to this shelter? Can a team of volunteers not be found to at least keep the place clean so that further infection is stopped? Unfortunately, I do not live in Seville anymore as I would be prepared to help. Justice must prevail !!!! This man must be locked up and the key thrown away. We don’t need humans like this on our planet . Someone go to the pound lock him up with the dead dogs don’t feed him and chain him to a pole. Entered the shelter and opened all the runs/cages. Between 20 & 30 dogs were let loose outside the boundaries, causing caos and at risk of being involved in a road accident. Inside the locked premises, out of control dogs could be heard fighting amongst themselves….. Volunteers spent the following hours trying to round up and locate as many as possible of the animals. The owner refused to open up so that loose ones could be seperated! for photos of the clean up and rescue of various dogs….the internet worked…people listened and action was taken….the main thing is to ensure it doesn’t deteriorate again but PEOPLE ARE WATCHING NOW…. or by Paypal “[email protected]”. Power to the people and the internet! there are to many dogs because the idiots dont spay and neuter them!!! Well John, haven’t you woken up in mighty fine form this morning, have a nice day. John Simpson, this articule was to highlight the plight of animals in this “protectora”,not just dogs: cats, donkeys and horses too, as well as raise public awareness of the horrific conditions that the animals are subjected too. In other European countries there are requirements for dog owners to be licenced and agree that it would reduce the amount, fining any irresponsable ones. Spain is a member of the EU and it is high time that laws are reformed and brought into line with our European counterparts. Here I do not just refer to legislation relating to animal cruelty. By the way, I was raised as a child with dogs, do not lack self esteem, and continue to be a responsable dog owner, currently counting with 3 rescues in our household. Michelle, don’t start me on cats! I am pleased that you have self esteem (but not too much I hope)and have survived childhood. However being a responsible owner is something non-dog owners need to judge. IMHO dog owners are a breed unto themselves in the main, not considering that other people do not share such unswerving devotion. I could only consider a dog owner as being responsible if they kept their animal and it’s detritus in the confines of their own property. Dogs can be trained to use a quiet spot in their own gardens rather that e.g. use the beach and public highways – even alpacas (and Ca*s) can do that. If a dog is too big to confine to a garden then get a smaller dog or a bigger garden – Simples. This is really the shame of Spain. Although not all Spanish people behave like beasts, there are al lot of them that just throw dogs away once the can’t use them anymore. This is disguisting! There should be more political pressure put on the Spanish gouvernement to close the geath stations end to make sure that dogs and cats can be held in a save haven/shelter. Everyonde shouls write to a political party to tell them so. There should be laws agains people who keep dogs, just to breed. There should be free nutering programms so people can sterilise or castrate there dogs and cats so that there will be less strays. People who mistreat animals should be severely punished and made sure they will never be allowed to own an animal again. But for now: I have great respect for all the people that have made sure that these dogs where saved and protected from the beasts. Ik hope this is the first action of many. Oh and John, you really don’t get it. You just don’t put an animal down because a hman doesn’t want it anymore. It is called responsibility and emphathy. An anmal is not an object. It’s a living thing. Shame on you! man has made a man made hell for these dogs in spain, what gives man the right to lock up a sentient creature who feels like us, these poor souls are abused beyond belief by many who work or even own the kill stations, t5here is video footage and written documentation to re inforce my thoughts that many other perrera/kill stations are as bad, they abuse the dogs kick them around, some in terrible pain are left to die in agony, alot are not fed have no water and fear fpor there lifes and sit shaking uin fear with no bed no covers cold and wet floor, because they spray the floors with cold hoses while the poor animals are in there, many die from the cold and having no food or from injuries, these places alot are funded by public money, they dont use it on the animals its embezzeled for there own greed, they dont give a damn about the animals, when its time to die the animals are dragged down to the door and they have to watch as the ones in front are put to sleep which can take ages as they cut corners and dont use the proper euthanaise liquid, some use bleach and other solutions which is disgusting and the poor dogs suffer greatly, these people should be hung by the neck they are vermin and cruel and they need stopping it is still happening now and its fowl and the world carries on, even gas is used and its been banned, they care not they get money for the dogs dead ,this horror and the hunters horror of what they do to there dogs has made me not want to be part of this cruel world, I have 3 adopted spanish podencos who are the most noble wonderful creatures i can only say what is done to them and the galgos is barbaric and these men are un human then they go to church on sundays, i hope the animal rights activists get them one by one because they are bastards from hell and i fear for there familys because they are capable of the most terrible horrors, real menm dont abuse animals, they care for them with love and compassion!!!! I was lost for words when I saw the video (tearful and sad), but relieved now that something has been done and I agree that there is still a lot to do. The people that run these places should have training and a special license…..anyone could have hosed out all of those kennels in a morning and exercised and fed the dogs..it’s not rocket science. I hope the b*****d responsible is now in jail, so I would like an update. I took a little puppy in off the streets a couple of years ago and she is a joy to have in my life, and I would adopt more but for lack of funds (pensioner) and space. If this place was nearer to me I would volunteer to do the cleaning (as best I can at 61). Please keep posting and let me know what happens. My hearth is so pain when I saw the dogs like these. What of people in Spain? Barbarics? Lord help and save the dogs from the devils.